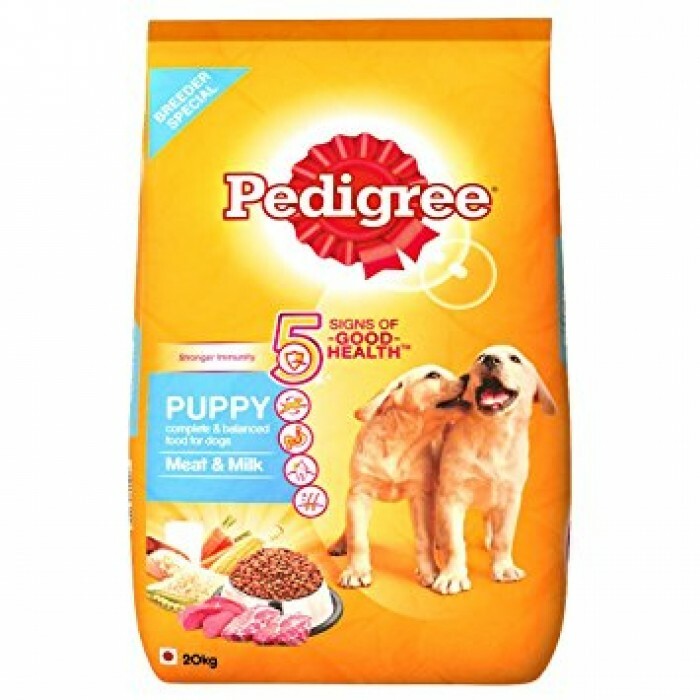 Pedigree Puppy Meat and Milk is a nutritionally complete formula, created to enable a young dog achieve its best possible growth potential. Vitamin E and specific minerals have been added to offer vital support to the immature immunity system of the body. The wholesome food contains high protein content which helps to build and maintain strong muscles. Balanced calcium to phosphorus ratio promotes the development of sturdy bones and teeth. Zinc and fatty acids work to nourish and preserve the natural health of the skin and coat. 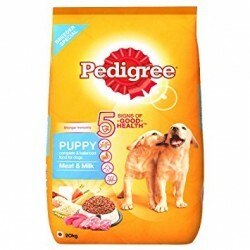 The nutritive elements of the Meat and Milk meal are highly digestible and support the health of digestive system.